So, the Old Fourth Ward Arts Festival is coming up in a few days! If you've been following my Instagram, then you know what I've been working on. However, if you haven't, then here's one of the images I posted yesterday. 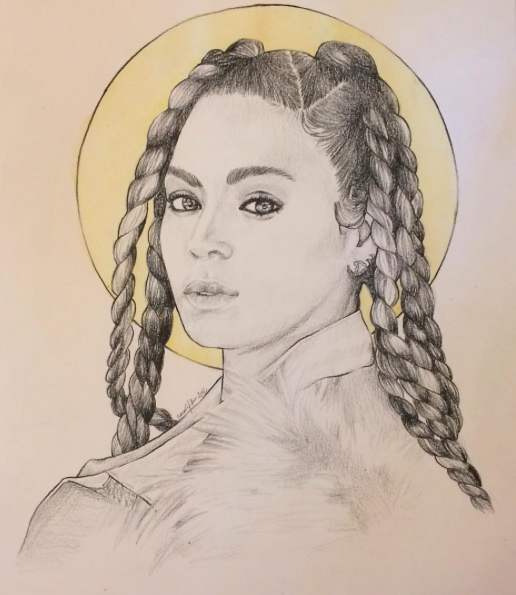 It's Beyonce in black Prismacolor on paper with a watercolor halo. I think it turned out to be pretty cool! Ok, back to work with me! Happy Wednesday!